It seems as if every medical student these days is using spaced repetition and Anki for the USMLE Step 1, Step 2CK, and shelf exams, hoping they will magically get a high score that will lead them to the residency of their dreams. 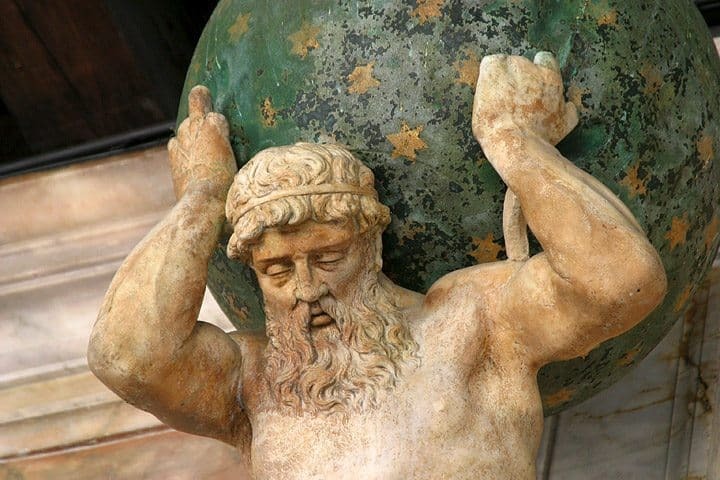 Why do so many fail to reach their goals, despite slaving for hours and hours, while others seem to breeze through? I made a lot of mistakes using Anki, and found out the hard way what it took to reach 270 on the USMLE Step 1. Here, I answer your most pressing questions about Anki, the concept of spaced learning, and how to use these tools most effectively. 1. What is Anki, and Why Do So Many Medical Students Use It? Spaced repetition generally, and Anki in particular, help you remember what you’ve learned, forever, in the most effective way possible. It really works. Anki is a free computer program that is based on spaced repetition. Spaced repetition, which has been covered elsewhere exhaustively, is an empirically-derived method to never forget something you’ve learned in the least amount of time. Anki is used by more and more medical students the world over as a means to retain more of the firehose of information as efficiently as possible. Sound amazing? When I first began, it almost sounded too good to be true, but frustrated with constantly learning things only to find that I’d forgotten them days later, I decided to take the plunge and turn as much of what I’d learned into efficient Anki cards as possible. 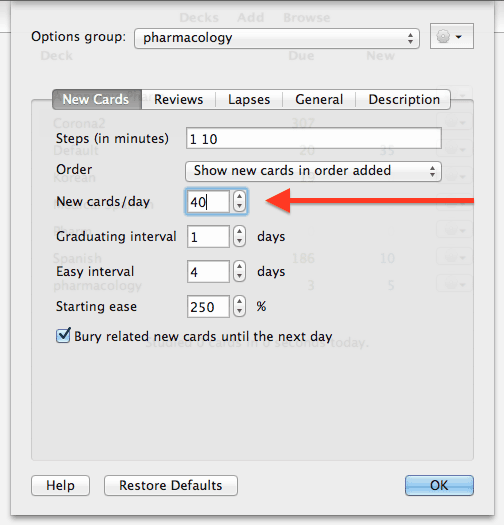 If you haven’t read it yet, check out my guide to how to create basic Anki cards for medical students. If you’re more advanced, check out how I created my best cards which ultimately helped me get 270 on the USMLE Step 1. 2. Is it possible to start using Anki if I’ll be taking my USMLE Step 1, Step 2 CK, or Step 3 exams within the next couple months? What is the best way to start? Absolutely. Start slow, and read the basic guide to Anki cards. As a medical school tutor for USMLE Step 1, Step 2CK, and shelf exams, I have seen many students successfully integrate Anki into their routine. Before I started using Anki, I might have remembered information for at most a week or two (usually much less); anything beyond that and I would struggle to sift through my notes to reference old things I had written down. As such, if you have more than several weeks until your exam (and are likely to need to re-learn subjects), why not use Anki to minimize the amount you need to teach yourself again? Start slow. Target a reasonable number of cards you will make a day, like 30-40, to try to ensure you will focus on more important facts over needless details. Don’t make cards that are too long, and avoid lists when possible. 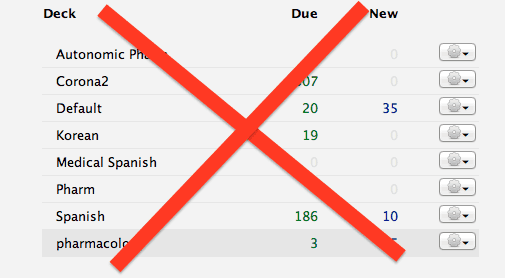 These are the most common mistakes I see students make that have tried making Anki cards on their own before working with me. Start with subjects that lend themselves to simple flashcards. These include pharmacology (read my guide to mastering pharmacology), and to an extent microbiology, as these subjects are more fact-based, and as such are a bit easier to start with to get your feet wet. 3. How often should I review my Anki cards? Every day, to minimize re-learning information unnecessarily, and to minimize overall review time. Because Anki is based on a spaced repetition algorithm, the program is designed to show you your cards at the time you are most likely to forget the information. In other words, when I’ve learned something new, I am most likely to forget it within the next 24 hours – as such, the program will show me that information the next day, so that I won’t forget it. However, if I’ve reviewed the card multiple times correctly, the algorithm predicts that I will remember that information for much longer (weeks to even months), and will show me that information much later. Every day, the program will prompt you to review all of the information the algorithm predicts you are most likely to have forgotten by that particular day. Thus, if you do NOT review your cards every day, you are more likely to forget the information on those cards that were “due” on the days you didn’t review your cards. Additionally, let’s say you were scheduled to review 200 cards on Day 1, and 200 different cards on Day 2. By skipping your review sessions today, you increase the burden of tomorrow, so instead of doing 200 cards as planned, you will be doing 200 cards PLUS whatever you hadn’t done the day previous. Finally, since you are more likely to have forgotten yesterday’s cards, you increase your review burden even more, as the skipped cards will be forgotten more often, and will likely take longer to review. Some of the most painful days of medical school have been the ones following periods of a day or two where I skipped my cards. Please learn from my mistakes, and review your cards every day. 4. How many new cards should I make every day? How many new cards should I review every day? 30-40/day on average to start. You may do more as you become more comfortable, but be careful to minimize lists/memorization. The two most common mistakes when medical students start using Anki are 1) making cards that are way too long, and 2) making too many cards on unnecessary facts that are of minimal use. To avoid the first mistake, please read my guide on making basic Anki cards. To avoid the second mistake, I found that setting a limit on the number of cards helped to focus my mind on what was most important to make into cards. Without a limit, I could find dozens if not hundreds of facts that I felt were critical to include in my deck, only to be confused with a huge jumble of mismatched facts thereafter. 5. What settings should I use for my Anki reviews? Set new cards to 40 max until you’re comfortable with the card load. Set “maximum reviews/day” to 9999. Just like I recommend starting slow (30-40 cards per day to make), I also recommend starting out with a maximum of 40 new cards you will add to your deck. 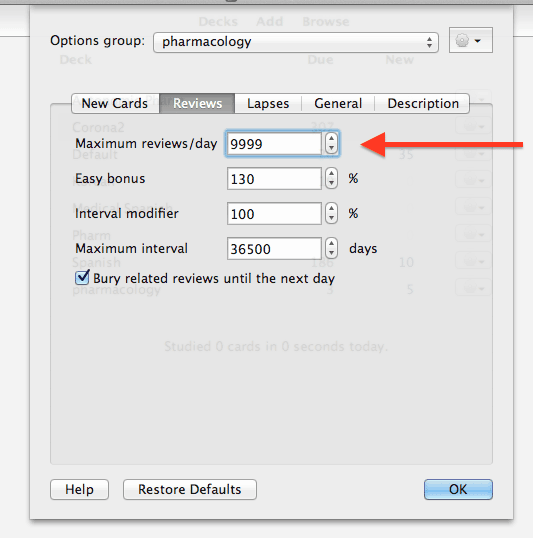 Also, note that Anki defaults to 100 old cards reviewed/day, meaning that even if 200 cards might be due on that particular day, Anki will only show you 100 cards. This is meant to not to overwhelm you, but it doesn’t allow you to use Anki to the fullest, so I recommend setting it to some high number (e.g. 9999). 6. What should I put into my Anki cards? First Aid information (especially if you can make sense of it), QBank “educational objectives” w/ explanations, pathogenesis to presentation cards from sources like Goljan, Pathoma. This is a hugely important question, and one I’ve thought about a lot. Many people on the internet (and in classrooms around the country) seem to think that the key to doing well in medicine is to memorize long lists of facts; they believe the more facts you know, the better you will do on Step 1. In speaking with many students who scored well vs. those who failed, as well as a pathology professor who writes official questions for Step 1, I am convinced that to rely on memorization is to court disaster. I’ve spoken with a number of students who have scored 260+ on Step 1, and every single one of them was very strong on mechanisms, pathophysiology, and explaining the “why’s” and “how’s” of the body. Every single student that has come to me for USMLE Step 1 tutoring after failing the exam had the opposite story: they tried to memorize their way through, and no matter how many times they repeated USMLE World/Kaplan videos/DIT/Pathoma/Goljan audio/etc. they couldn’t seem to raise their scores. The problem wasn’t in the resources (although generally I prefer active over passive learning). The problem was that they’d given up on trying to learn mechanisms, and simply relied on memorization. To read more about what I put into my Anki cards, read Nailing the Fundamentals. 7. How long should it take to review Anki every day? I aim for reviewing 100 old cards/hour, and 1-2 minutes per new card reviewed. In other words, if I have 300 old cards and 45 new cards to review, I would expect it to take ~4 hours total (3 hrs for the old cards, and 45-90 mins for the new cards). If it takes much longer than this, my cards are too long and/or I’m getting distracted by shiny objects the internet. Cards that take too long will take away from valuable time spent on other things, including QBanks, learning how to go from the pathogenesis to the presentation for as many topics as possible, and having a chance at a semi-normal life outside of medicine. If your cards are too long, read my basic Anki card-making guide. If you’re being too easily distracted by the internet, download Freedom or Self-Control to block the internet. 8. What should I do with my Anki cards after I’ve taken a particular test? I reviewed my Anki cards that I’d made for all of my previous exams, and am forever grateful I did. Make sure your cards are worthwhile, emphasizing true understanding over lists/memorization. This is a personal question, and the answer will depend on your particular goals. My goal was not only to learn information well for the exam, but also to dominate the USMLE Step 1 exam, to make Shelf studying easier, to know more answers on rounds, and ultimately to be a better doctor/teacher who could explain not only what treatment we were doing, but also why. As such, even after a particular exam, I continued to review all of the Anki cards from that subject. While there certainly can be a case made for “high-yield” subjects for the exam (things that are tested more often than others), the truth is that no one knows exactly what will be on their test before they take it. Anything could be tested. I was told by upperclassmen that some questions on the exam dealt with concepts that hadn’t been covered in Goljan/Pathoma, USMLE World, Kaplan, or First Aid – and the only reason they got the question right was because they’d remembered it from a lecture. That’s not to say that you should memorize every detail in lecture, and forgo using those other resources, but for me, I had faith that having an understanding of the body that was deeper than what I could find in First Aid or other “high-yield” resources would ultimately help me. If I could go back, I wouldn’t have changed that approach. 9. What are the benefits of reviewing all of your old Anki cards? There are many benefits, as long as they’re good cards. Benefits include minimizing re-learning the same information, and facilitating learning later blocks. I found that often I could explain things that many of my classmates were forced to memorize, because I had retained the explanations from previous lectures. Additionally, because of the interconnectedness within medicine, and the tendency for subjects to repeat over and over, I found myself spending much less time re-learning subjects that came up again and again. For example, we had covered renal physiology once in our pharmacology course, to explain the actions of diuretics. Because I had continued to review those cards after our exam, I was able to breeze through the same information later when it came up in cardiology’s lectures on managing hypertension, as well as when we reviewed it again in renal physiology. Furthermore, the more I remembered from old topics, the easier it was to understand later blocks. For example, because I had made such detailed biochemistry cards, I was able to understand digestion, diabetes/DKA, and most of GI much better, since I understood the “why’s” and “how’s” of the biochemical pathways. 10. What should I do with my Anki cards after I finish the USMLE Step 1? I continued virtually all of my cards, which helped immensely for Shelf exams, and Step 2 CK. It would have been difficult to do so had I not done a research year (HHMI) between 2nd and 3rd year, although people have made it work. Again, this is a very personal question, and will depend on your goals, and your personal circumstances. I was fortunate to have received an HHMI Research Fellowship after my second year, and took a research year after the USMLE Step 1. This allowed me more time to review my cards, which at their peak could take roughly 2-3 hours a day to review ~250-300 old cards. While not impossible, the demands of clinical clerkships are greater than a typical research year, and so finding time to devote several hours to doing old Anki cards, while simultaneously learning the ropes on an inpatient service and studying for a shelf exam is daunting. The benefits? Being able to recall the vast majority of Step 1/class information helped immensely for Shelf exams, not only for Internal Medicine, but also every other clerkship. Additionally, despite having taken an entire year off before clerkships, the information felt remarkably fresh, and helped a LOT for answering questions on rounds. 11. How many Anki decks should I make? 2 decks, pharm and non-pharm (including path, phys, micro, etc.). At most, 3 if you’d like a separate micro deck. Making fewer decks is generally better, as the more decks you make, the more tedious it becomes to review your cards. For example, if I had made 5 decks, one each for renal, cardio, pharm, path, phys, and micro, every day I would have to open each of those 5 decks individually, and do the cards from each of them. This becomes very tiring (not to mention discouraging), and makes reviewing your cards much harder as the number of decks increases. So why would I recommend making two decks instead of just one? Because having lots of pharmacology cards can overwhelm a single deck. To illustrate this, let’s say that I had one deck, with 1,000 non-pharmacology cards in it, 100 of which are “new,” meaning I have created them but not reviewed them yet. One day, I get on a roll, drink a glass of wine or two, and create 500 pharmacology cards at once. Now, among my new cards, I have 100 non-pharmacology questions, and 500 pharmacology questions. However, I have a problem, since if I were to review 40 new cards a day, roughly 5 in 6 of them would be pharmacology cards, meaning I would only be moving through my new non-pharmacology cards at 1/6th the pace. Personally, learning pharmacology was one of the most challenging (but ultimately rewarding) tasks for the USMLE Step 1, and the most effective way I found to learn it was steadily. Many students, out of desperation, attempt to cram pharmacology during the last several weeks before their exam, but most seemed to regret it, as it is painful and ineffective. Instead, create a separate pharmacology deck, and set the daily new card review limit to something reasonable, like 20 cards a day. If you’re trying to blitz microbiology, you may attempt the same thing, and create a third deck. 12. How can I get the rest of your Anki cards? Unfortunately, given the number of cards in my deck (I had more than 15,000 cards by the time I took Step 1), trying to do all of the cards would be counterproductive, as there would not be enough time to get through all of them, and even if there were enough time, it would take up so much of your day that it would limit your ability to do questions in either Kaplan or USMLE World. As such, I try hard to find specific parts of my deck that I think would be most useful, which you can find in various articles on the site. UPDATE: There are now Step 1 and Step 2CK Anki decks for sale. Each contain a much more manageable number of cards (1200+ and 1100+ respectively), and contain new explanations to concepts I didn’t know when I began my studies (and many explanations I didn’t know until after spending more than 1000 hours tutoring students in Step 1, Step 2CK, and Shelf exams). Click to learn more about the Step 1 and Step 2CK Anki decks. I’m sure there are questions here that I haven’t addressed. Let us know what your questions are in the comments section! If you’re starting for the first time, remember to start slow (target 30-40 cards/day to make, and to add to your deck). The key is to develop good habits, and then to expand your reviews as you become more comfortable. Leave a comment below with your own question(s)!